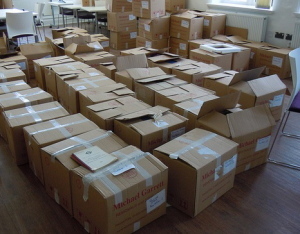 We have been very lucky to have received some big bequests of books. images and timetables. However, we are equally happy to have a single item donated. New books are bought for the Collection (although we are always pleased to receive new items, often from the authors themselves) but it is the historic side that needs donations in order to grow. If photographs are donated we need to know who owns the copyright i.e. who took the photograph. All we ask is that prospective donators contact us first. We share a building and it would be very awkward for our colleagues if large deliveries arrived unannounced.